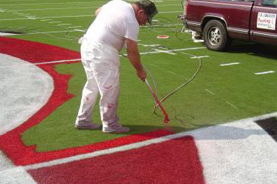 USspecialtycoatings - Football Field Marking Paint, Cleaning Janitorial Products, Industrial Coating Custom Coatings, Striping paints machines. 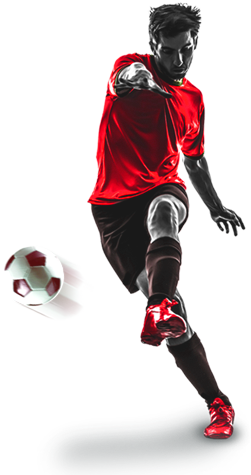 US SPECIALTY COATINGS manufactures Athletic Field Marking Paints, Paint Striping Machines, Athletic Field Accessories, Traffic Paints, Marking Paints, Industrial Coatings, Protective Coatings, Specialty Custom Coatings, Architectural Paints, Floor Waxes and Janitorial products, serving customers all over the world. All our paints, coatings, janitorial products are made in the USA. Our proprietary formulations are specifically designed for optimal performance with personal and environmental safety in mind. We believe in honesty, integrity and teamwork. Because of these technical and business ethics, we are a well established and a very successful company in our niche market. We are proud of our team of associates, independent sales representatives and our distributors who are committed to customer service, hard-work, and their ultimate achievement of providing you with THE BEST PAINT at THE BEST PRICE. Learn more. Our fully equipped R&D Laboratory & Production facilities, coupled with our talented-experienced Chemists, we can custom formulate and manufacture any type of Coating, Paint or Janitorial Product. If you are interested in joining our sales team, as an independent sales representative or a distributor PLEASE CALL US toll free at 1-800-278-7473 or 1-800-2-STRIPE.